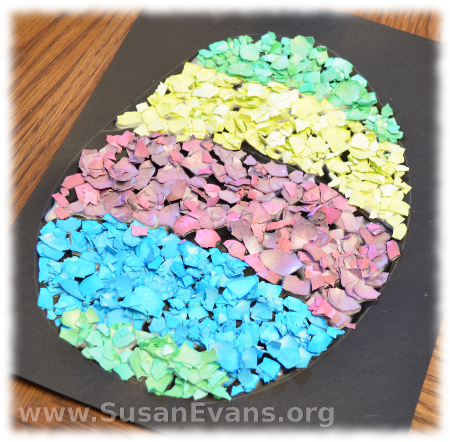 Make beautiful eggshell art with your kids. 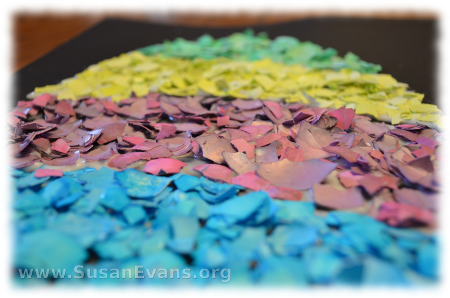 It’s easy and fun to make a mosaic with broken pieces of eggshell dyed different colors. Start by dying the broken eggshells different colors. 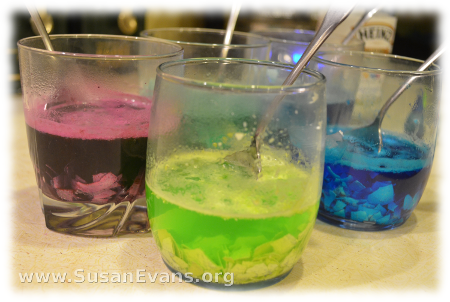 Pour half a cup of boiling water into each drinking glass, along with one tablespoon of vinegar and 10-20 drops of food coloring. Wait for 5 minutes, stirring the eggshells occasionally. Dump each glass into a colander in the sink, one by one. Line a cookie sheet with paper towels, and place the eggshells on it to dry. Don’t mix the colors unless you’re trying to make strange confetti. Let it dry overnight. Draw a design with pencil on the black card stock paper. 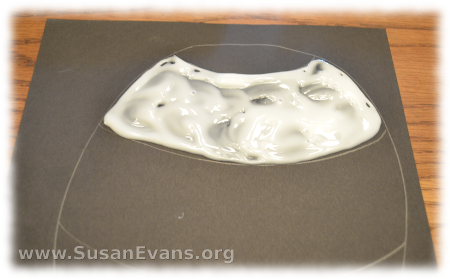 Then fill one area with white school glue. 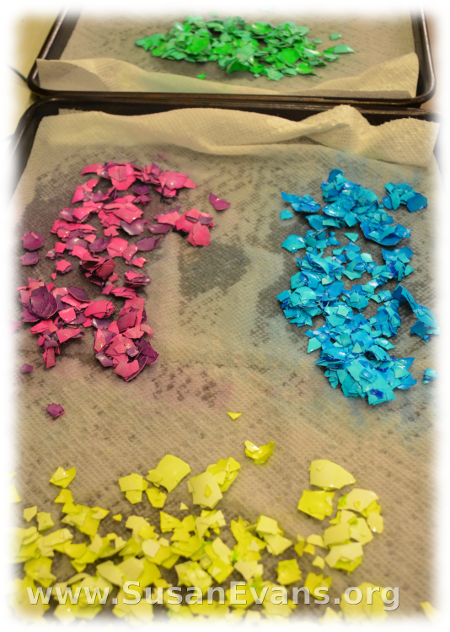 Dump one color of eggshells onto the page, pressing the eggshells down. Re-arrange the eggshells until they look nice. Lift the page to let the excess eggshells fall from the page. Then move on to the next color until your design is cmplete. After letting it dry, you can enjoy your finished eggshell art! This entry was posted on Wednesday, May 29th, 2013 at 8:00 am	and is filed under Fun Spring Activities. You can follow any responses to this entry through the RSS 2.0 feed. You can skip to the end and leave a response. Pinging is currently not allowed. I wish I knew about this years ago. Now my son is grown, and is not yet married himself. I pinned this on my Art board . It’s relatively simple yet produces a type of mosaic art. I loved mosaic kits when I was a child and would love to do this with a future grandchild. I had forgotten all about this fun craft. Thanks for sharing. We are raising chicks right now that will eventually lay green, white, brown and terra cotta colored eggs. What fun this will be for my daughter to use our own colored eggshells and to try dying them different colors as well. Now I know what to do with all the shells! Brilliant Susan! These look so neat, Susan! You always have such great ideas!